The June 2018 Architect Board Exam Results are expected to be released by the PRC online today, July 5, 2018. The official list of passers and top notchers of the June 2018 Architecture licensure examination are expected to be released five working days after the last day of examinations – possible release date is on July 5. However, the result may be out earlier or later than the target date without prior notice. The Professional Regulation Commission and the Board of Architecture conducted the Architecture licensure exam in different testing centers nationwide on June 28 and 30, 2018. 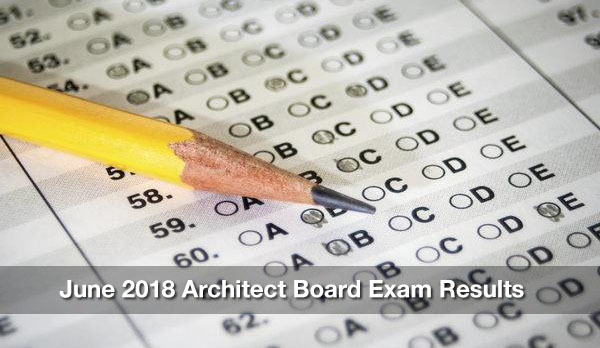 Keep locked on this page, the June 2018 Architect Board Exam Results will be posted below once released online. UPDATE: The Professional Regulation Commission (PRC) announces that 1,778 out of 3,177 passed the Architect Licensure Examination (ALE) given by the Board of Architecture. To receive more updates about Architecture Board Exam Results and other PRC Licensure Examination Results, follow us on Facebook and Twitter.